The quality of the achieved results depends on the coordination of all parties involved. From the very first, we corporately develop solutions considering every disciplines. 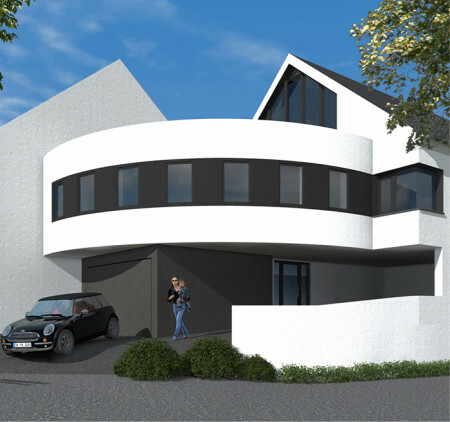 You as the house builder will improve your building results due to our integrative instead of additive planning. Innovative technologies, such as alternative energies can be easily integrated. During the design and planning phase, a permanent communication is therefore always necessary. The innovative realization is based on integrative planning, an accompanied process. Planning is the fundamental step to be made before any other ones. Our objective is to ensure a smooth, harmonic building process, from the architect’s vision until the project is completed and the habitability is provided for you. 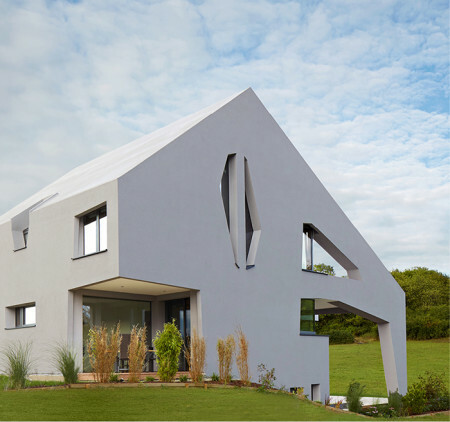 A suspense-packed interaction of straight lines and openings beyond the 90° lends an almost sculptural character to the one-family house that is imbedded in the rural idyll, which is even intensified by the cement-made housetop fusing the front. 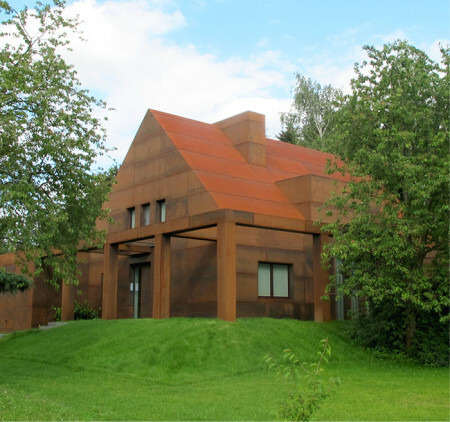 Due to the use of corten-steel, the annex is combined with the original part of the house in a monolithic way and fits harmonically into the natural environment. The arcade connects the old and the new in a structural manner. The facility of an industrial company’s head office, connected with a penthouse on the top of the building, combines working area with stylish living quarters with 250 m2 floor space. 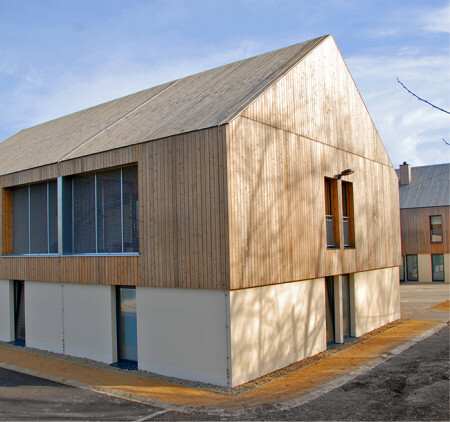 Mixing corrugated iron sheet with wood covering the front, the building gets a prestigious look, which is strengthened by horizontal rows of windows, supplying the hall’s interior with non-glaring daylight. By the structure of the building in “Finger” touching only on top of the Hill, the architects could bring much light into the House. The two gable facades – direction direction Mosel vineyard – are entirely glazed. 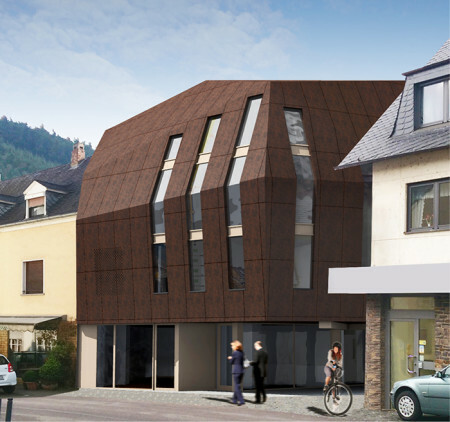 Two window strips in roofing and facade cladding interrupt the otherwise completely homogeneous covered in Corten steel skin of the building. 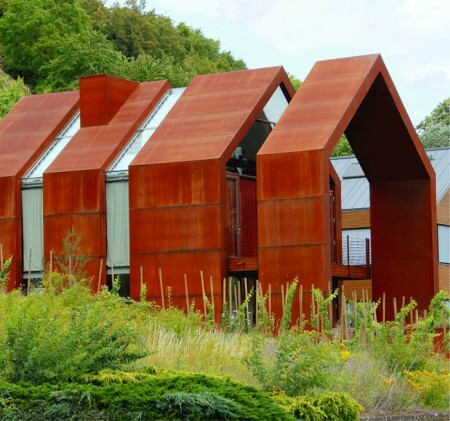 The high artistic requirements for this residence can be recognized by the monumental sculptures (Rob Krier), as well as the dainty floral balustrade elements made of steel. 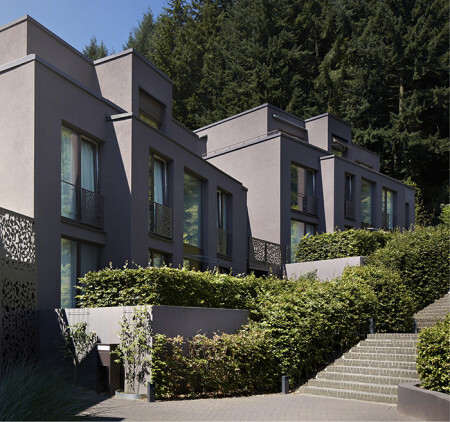 Subtle details in shape and colour support the building’s elegant figure while its terraced embedding reposes on the premises. 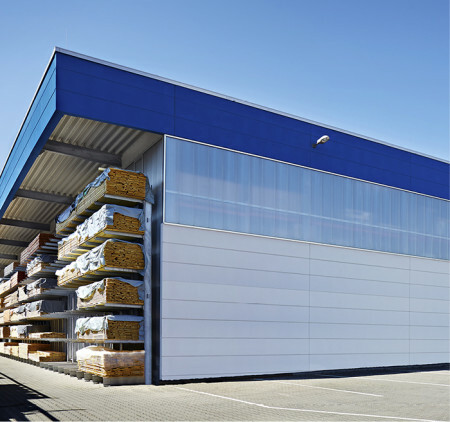 The extension of an existing business object with a new warehouse of ca. 1, 850 m 2 for the building materials wholesaler D.E.G. Tout pour le toit connects protected exterior storage areas by large roof overhangs with light-flooded interior surfaces. The outer walls are made largely with translucent profile elements, additional skylights complement the natural lighting concept. The design is characterised by a uniform appearance of old and new, this will be achieved mainly through the acquisition of existing Attic height of the administration building to the new Hall. 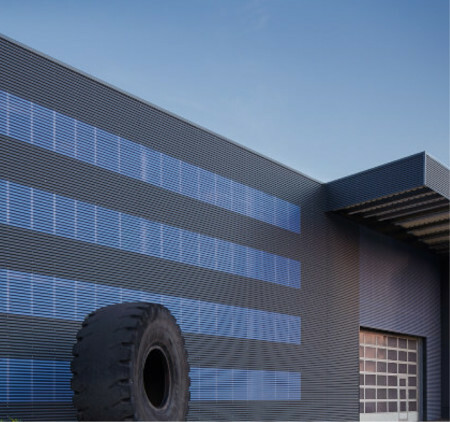 The extension of a tire company summarized a multitude of existing individual buildings to a large cubic Hall with fully automatic tyre storage. A spacious and sophisticated companies complex emerged through the translucent cover, which can be too much light into the Interior of the Hall, as well as the horizontal lines of the façade with corrugated polycarbonate sheets and corrugated iron sheets and the increase of the existing office building. Already from a distance, the great area of the new animal shelter in Gasperich has got a friendly appearance due to the larch wood-covered building complex. 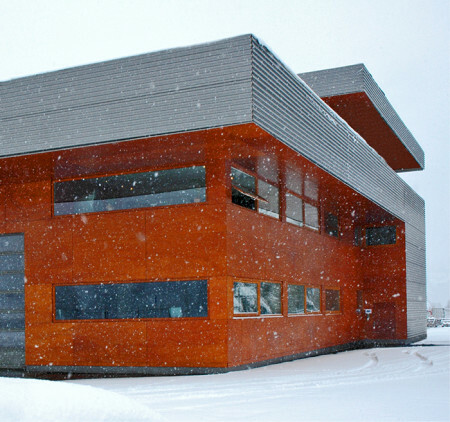 The naturally weathered wood on the housetop and the front of the building creates a harmonic atmosphere for its staff, clients and visitors.